Fringe anti-fracking activists, feeling a bit desperate after their failed attempt to ban fracking in the Wayne National Forest, are now calling on “national and international voices” to try to stop oil and gas development. 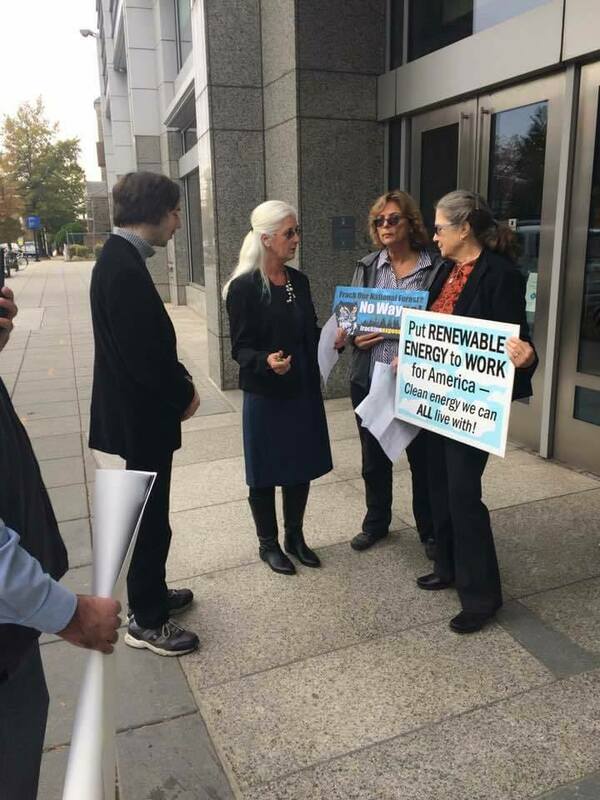 Recently, two Ohio activists tried to make a big deal about the fact that they’ve been recruiting activists from California to lobby their cause in Washington, D.C. against development in the Wayne National Forest. Those California folks come from a group called SprouTogether and one of its activists, Nathaniel McCarthy, created a petition on Change.org to “Stop the Auctioning of Wayne National Forest for Oil” and recently delivered it to the BLM. Photo: from SprouTogether Facebook page shows the “huge” the interest really was “from all over the world”. Of course, their proclamations are short on the facts. BLM and the U.S. Forest Service have been reviewing the merits to lease federal minerals located under the Wayne National Forest for over six years, long before interest in the Dakota Access Pipeline began. There has been extensive public scoping and input after which the federal agency determined leasing would move forward, with the first sale of minerals slated to be auction via a an online sale December 13th. The bottom line is that the Change.org petitions “from all over the world” are not actual protests and for the most part, they’re not coming from actual Ohioans. The BLM is very clear as to what exactly constitutes a “protest” at this point in the process and a bunch of internet generated petitions are not official protests as is clearly defined by the BLM. Of course, it’s a lot easier to stage media stunts than it is to read the fine print and engage formally, as bipartisan elected officials, landowners, and groups from all over the state have done in support of leasing mineral in the Wayne.